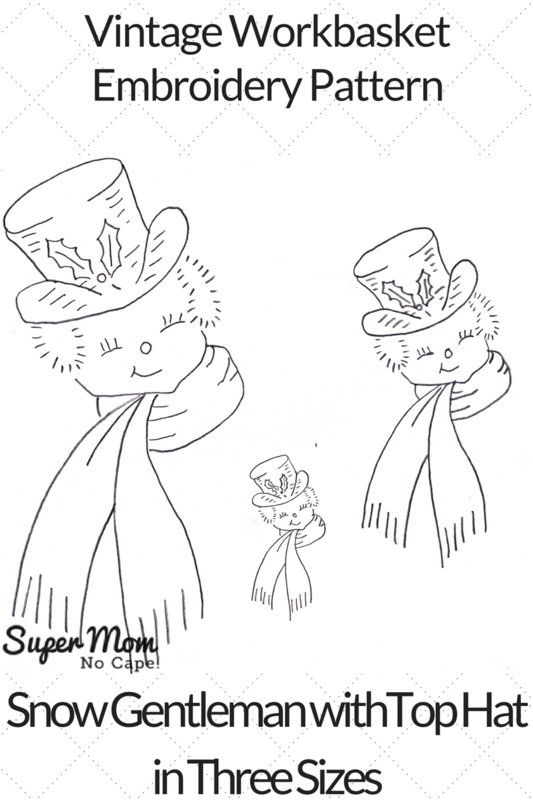 Snow Gentleman and Snow Lady Embroidery Patterns - Super Mom - No Cape! As this is the last Monday before Christmas, I’m gifting you not one but two vintage Workbasket patterns. This sweet snow gentleman and his lady really do belong together. 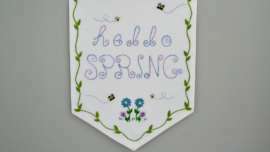 Dave has resized the originals so that you have three sizes of each to stitch. Never linked up to a link party before? Thank you so much. I suffered with migraines for years. Unless you get them no one knows how extremely painful they are. Good news as I got older they got better. I get a mild one that can be handled with Tylenol once in a while. Just relax and enjoy the holidays what gets done gets done. That’s good enough. Good Monday Morning Sue, Mighty chilly here in Selkirk ,NY but the Holiday warmth is taking over and all is well. Again thank you so much for the opportunity to have copies of these vintage embroideries -can see myself sitting on the sofa at Gram’s looking through her Workbasket magazines and wanting to make so many things-big dreams for a 10 yr. old!! Want to wish you and yours the most Merry Christmas season and a New Year full of many Blessings. 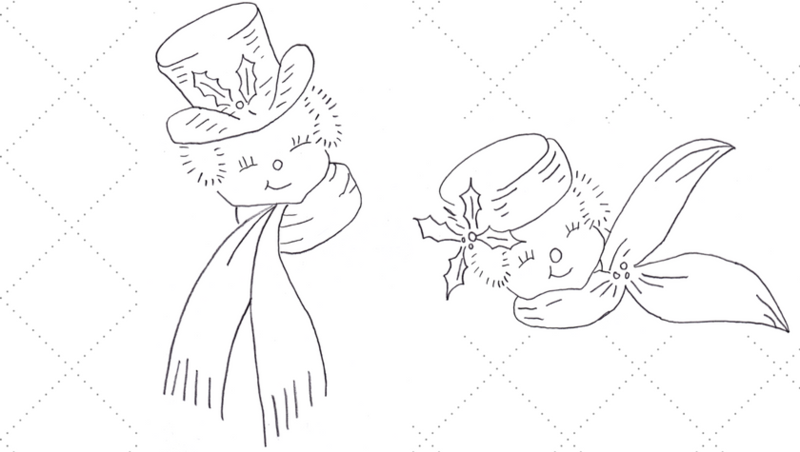 Thank you for the snowpeople patterns! Hope that you’re feeling better and stay migraine free. When I was married, I had a few that were brought on by my out-laws (that’s what my dad called my in-laws). Happily, I no longer have migraines or out-laws!! Hope that your Christmas is merry….. I hope you feel better, Sue, and remain feeling so. The fun snow couple are very sweet. 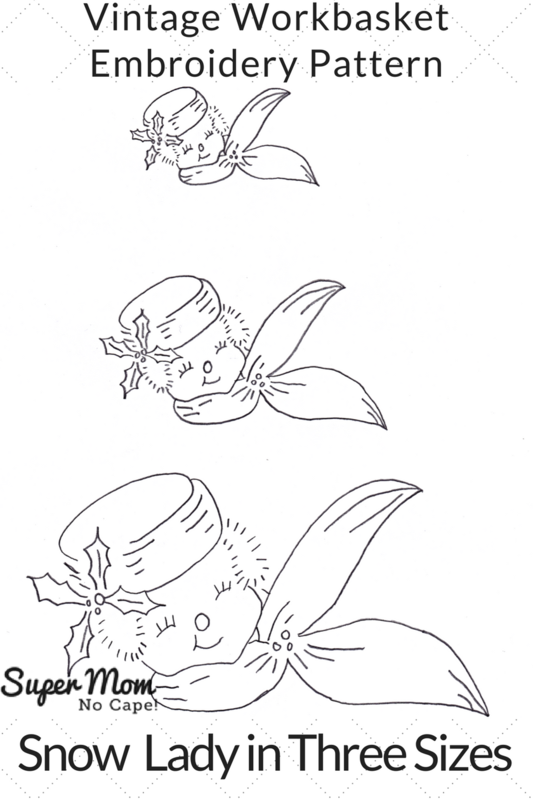 Thank you for these – they’d make great Christmas hand towels. I finally had something to link! Thanks to Dave for his help in making more sizes. That’s so nice of him! Such a cute little couple! I wish you and your family an incredibly merry Christmas! 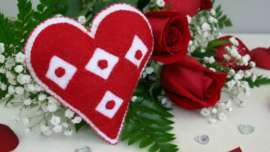 Thank you for sharing patterns with us Sue. 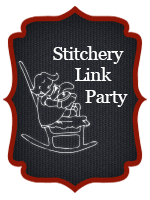 I have enjoyed taking part in your stitchery link parties. Happy Christmas. 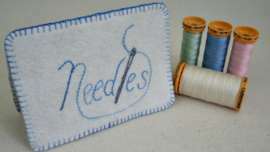 These are really lovely Sue, if I get my act together tomorrow I might even have something to link up for a change!